Yes, that’s right. 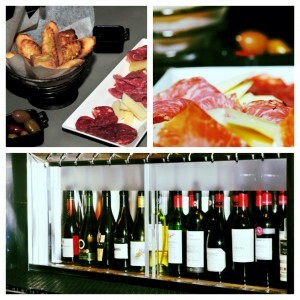 Starting now you can enjoy a glass of wine or a cold beer with your panini, pasta or wrap. We’re also offering an amazing selection of meat and cheese plates sure to rival any Italian Café. You can find mixed Mediterranean olives paired with Prosciutto di Parma (aged 24 months) and a sharp Queso Manchego cheese as just a sample of the variety available. Our Gastown location is open from 7am to 7pm on Sunday and Monday and open late from Tuesday to Saturday from 7am to 11pm so come on down and enjoy some amazing flavour combinations.